Congrats to Kim W, who won Temper Sanguine (Sanguine #2) by Lou Harper! 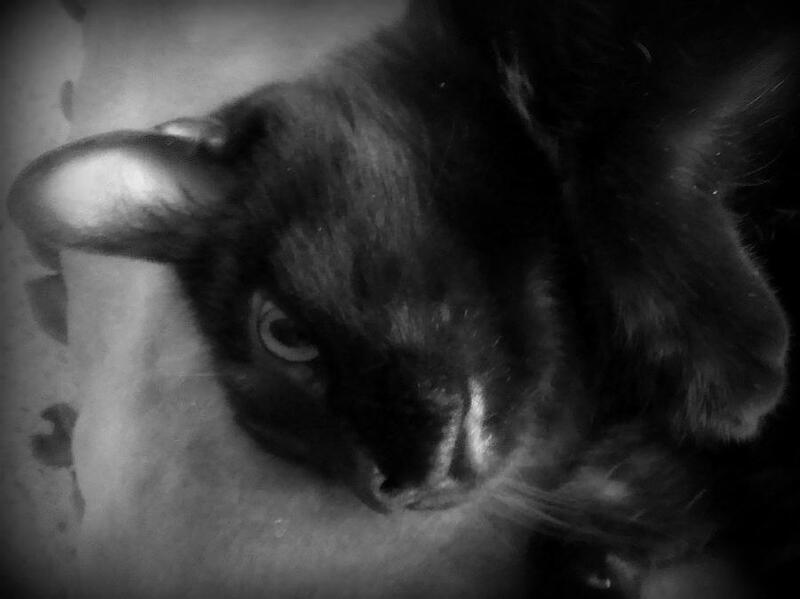 Temper Sanguine is being released today by Samhain Publishing. 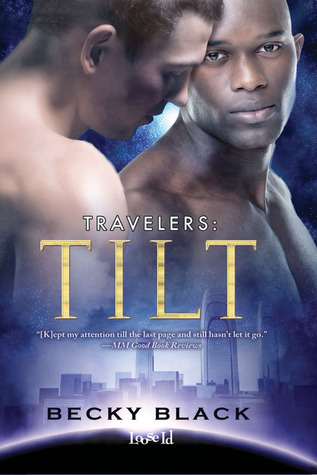 Many thanks to Becky Black for donating a signed paperback copy of her two novella m/m science fiction romance anthology, Travelers: Tilt, for a lucky commenter to win! Union man Sean Morgan and mining company executive Alex Jackson already know how good they are together, after sleeping together several times. But when they find themselves facing each other across a negotiating table they know their relationship has to become strictly professional. It’s no big deal, they think – until they try it. It’s only after they stop seeing each other that they realize they had started something deeper and have stronger feelings than either has admitted. 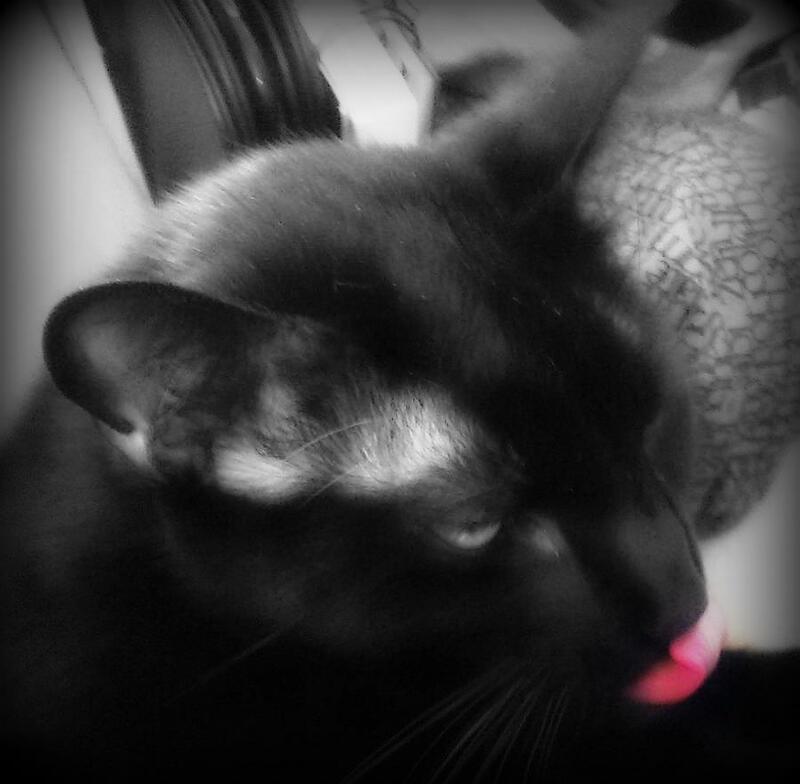 But giving in to temptation now can only lead to trouble. Alex fears involvement with Sean will cause him to repeat a mistake that almost cost him his career. For Sean it may destroy the dreams he’s already waited too long to pursue. When they lose the battle with temptation they must try their best to leave Morgan and Jackson outside the door, and just be Alex and Sean. But the outside world can’t be kept out forever. Jarrett Blake’s escaping from prison after months of torture and solitary confinement, but his bid for freedom ends when his stolen ship crashes into a remote moon. He wakes to find himself with two broken legs and helpless in the care of Marc Satie, a technician stationed alone at an isolated monitoring station. Marc saved Jarrett’s life, but was it an act of mercy or does he want to claim the reward on Jarrett’s head? Its a big reward – as befits the most wanted terrorist in the galaxy. Jarrett gradually recovers under Marc’s care and seduces him, hoping Marc will never turn his lover over to the authorities. As time passes, Jarrett begins to think of it as more than a seduction. Marc is beautiful, gentle and kind and Jarrett’s had none of those things in his life for a long time. He wants Marc at his side permanently. But Marc is not the man Jarrett thinks he is, and his secret could put Jarrett in more danger than he ever imagined. To enter, leave a comment stating that you are entering the contest. Contest closes 7 pm CDT, Monday, June 16. 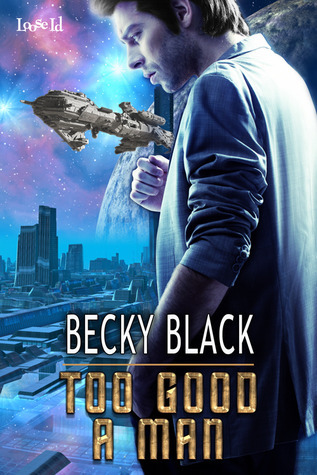 Many thanks to Becky Black for donating an ebook copy of her freshly released m/m science fiction romance, Too Good a Man (Red Dragon #2), for a lucky commenter to win! After months of sneaking around, Captain Alyn Evans and Jarvez Kashari have gone public as a couple. Alyn wants to move in together, but Jarvez isn’t ready. As the Red Dragon’s trading mission begins, Jarvez worries that Alyn’ principles will clash with the Company’’ sometimes ethically dubious methods. The Company rep aboard ship, he fears he’ll be the one to feel the sharp edge of Alyn’s disapproval and could even lose him. Alyn’s unbending sense of right and wrong leads him to give asylum to an enslaved man, Sumi, bringing threats of retribution from Sumi’s owner. This leads to tension between Alyn and Jarvez when Alyn makes Sumi his personal steward and Jarvez feels he can no longer get a moment alone with his lover. Sumi’s owner follows up on his threats and Alyn is brought before a court in a politically charged trial, whose outcome already seems fixed. Kept apart from Alyn, terrified he’ll see him go to prison, Jarvez doesn’t think the situation can get any worse. Until Alyn’s ex shows up. In the end he’ll be driven to beg for help from the one person who’d like to see Alyn out of Jarvez’s life forever. To enter, leave a comment stating that you are entering the contest. Contest closes 7 pm CST, Thursday, February 20. Congrats to Kathy T, who won Flying Colors (True Colors #5) by Clare London! Flying Colors was released yesterday by Dreamspinner Press. 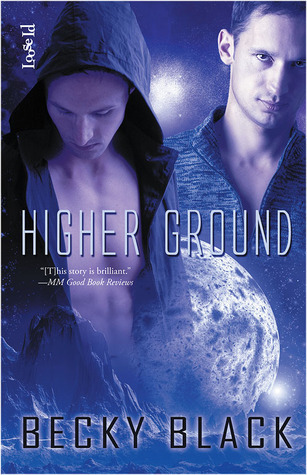 Many thanks to Becky Black for donating a signed paperback copy of her m/m science fiction romance, Higher Ground (Travelers #3), for a lucky commenter to win! Zach is impatient and likes to hurry. Adam likes to take it slow and to tease. But, they’d have worked it all out – if only the end of the world hadn’t gotten in the way. Zach Benesh is sure his prediction is right – the island colony of Zahara is about to sink into the ocean. Adam Gray isn’t as certain, but he’s happy to follow the intense, brilliant geophysicist into the mountains to escape the flooding. 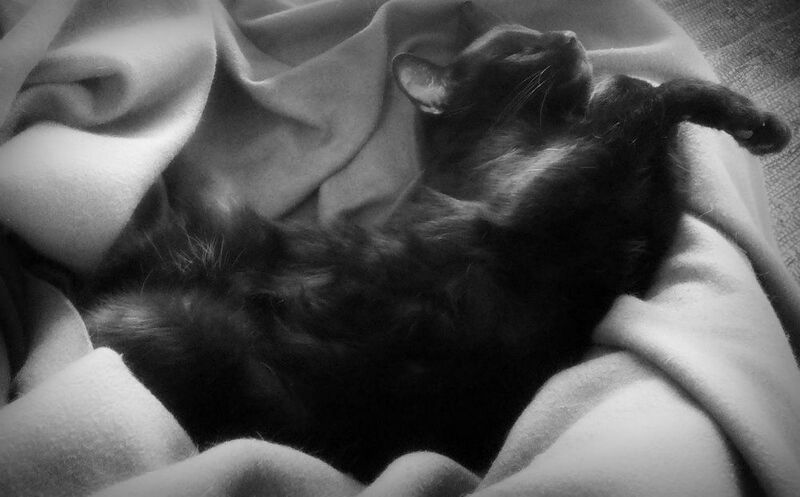 Though he’d be even happier without three hundred other people – and their pets – tagging along. He’d like to have Zach all to himself out there. But Zach’s prediction is right and as disaster begins to unfold towards an unstoppable, inevitable conclusion, the two young scientists must become a team in the fight to save their people. They draw strength from their rapidly developing relationship, but the higher Zach and Adam climb, the more difficult the tests they face – as lovers and as men. To enter, leave a comment stating that you are entering the contest. Contest closes 7 pm CDT, Thursday, October 17. Congrats to SarahM, who won Spirit Sanguine by Lou Harper! 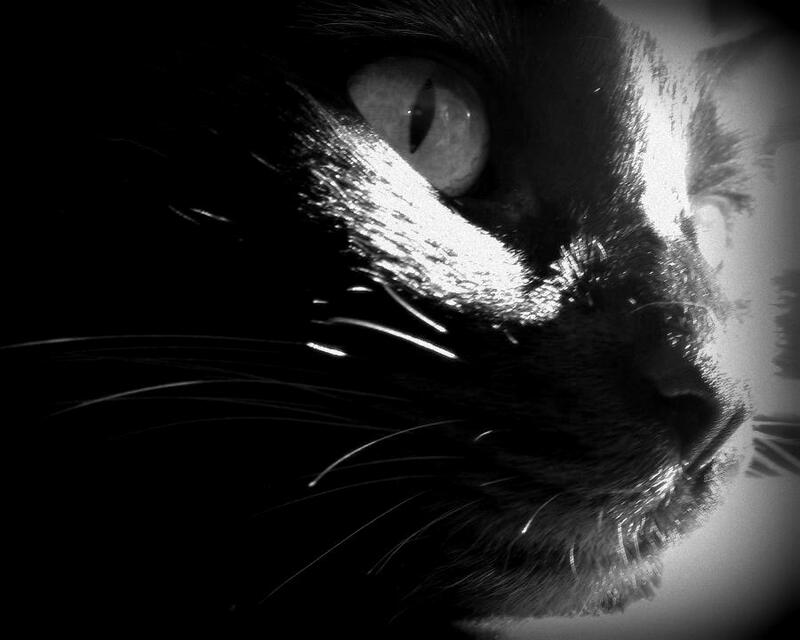 Spirit Sanguine is being released today by Samhain Publishing. Many thanks to Becky Black for donating a paperback copy of her m/m science fiction romance, Higher Ground, for a lucky commenter to win! To enter, leave a comment stating that you are entering the contest. Contest closes 7 pm CDT, Monday, May 13. 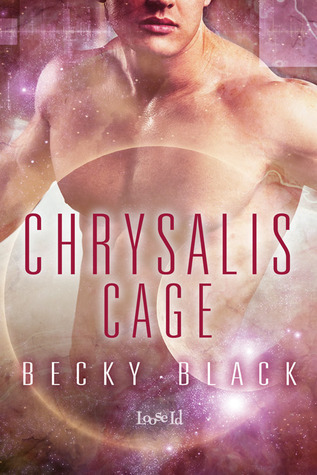 Many thanks to Becky Black for donating an ebook copy of her freshly released m/m science fiction romance, Chrysalis Cage (Travelers #5), for a lucky commenter to win! Rebel fighter Jarrett is helpless in the care of Marc, an Earther who considers him a terrorist. Jarrett’s only chance of escape is to seduce Marc before he claims the huge reward on Jarrett’s head. Jarrett Blake’s escaping from prison after months of torture and solitary confinement, but his bid for freedom ends when his stolen ship crashes into a remote moon. He wakes to find himself with two broken legs and helpless in the care of Marc Satie, a technician stationed alone at an isolated monitoring station. Marc saved Jarrett’s life, but was it an act of mercy or does he want to claim the reward on Jarrett’s head? It’s a big reward – as befits the most wanted terrorist in the galaxy. Jarrett gradually recovers under Marc’s care and seduces him, hoping Marc will never turn his lover over to the authorities. As time passes. Jarrett begins to think of it as more than a seduction. Marc is beautiful, gentle and kind and Jarrett’s had none of those things in his life for a long time. He wants Marc at his side permanently. But Marc has a secret and the exposure of it will show Jarrett he’s been in more danger than he ever realized. Marc is not the man Jarrett thought he was. After the truth comes out, Marc proposes a daring plan. If it succeeds they can walk away together as free men. But they have very different ideas about where they’re walking to. To enter, leave a comment stating that you are entering the contest. Contest closes 7 pm CST, Thursday, February 28.